Although lives continue to be saved in East Africa, the continuing food crisis shows no signs of abating. Lucy Billings, Project Officer for Age International, explains why this emergency is proving to be particularly complex. However, lack of rains and other compounding factors mean that the situation in East Africa is not improving. The situation remains critical; older people are extremely vulnerable and the aid that you are helping us to provide is vital to their survival. Usually, at this stage in an emergency response, we would adjust our programmes to focus on long-term recovery, developing initiatives designed to help older people find new ways to earn a living, secure food for themselves, and get back on their feet. Following the typhoon in the Philippines in 2013, for example, your donations helped 84-year-old Hilaria to get new materials so that she could re-start her sewing business. Now she is making school uniforms for local children and teaching her daughter the family trade. 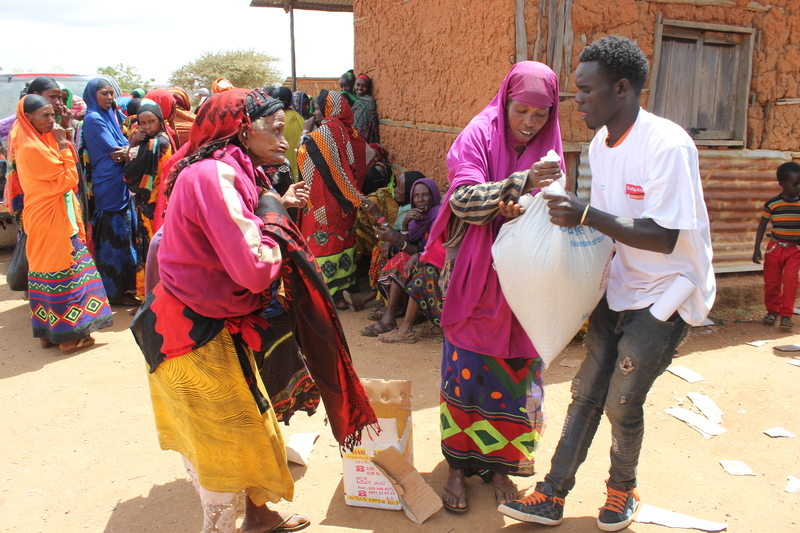 In East Africa, however, the situation is so severe that our programme must remain focused on simply keeping people alive; your donations are currently helping us to reach older people in drought-hit areas with life-saving food and cash – an approach we will continue with in the upcoming months. Rains have failed in the region for over two years now, due to rising sea temperatures caused by an El Nino phenomenon. The continuing nature of this emergency is making recovery much more difficult; grain stores which are kept for emergencies like this are being used up and there is no way to replenish them, as crops continue to fail. 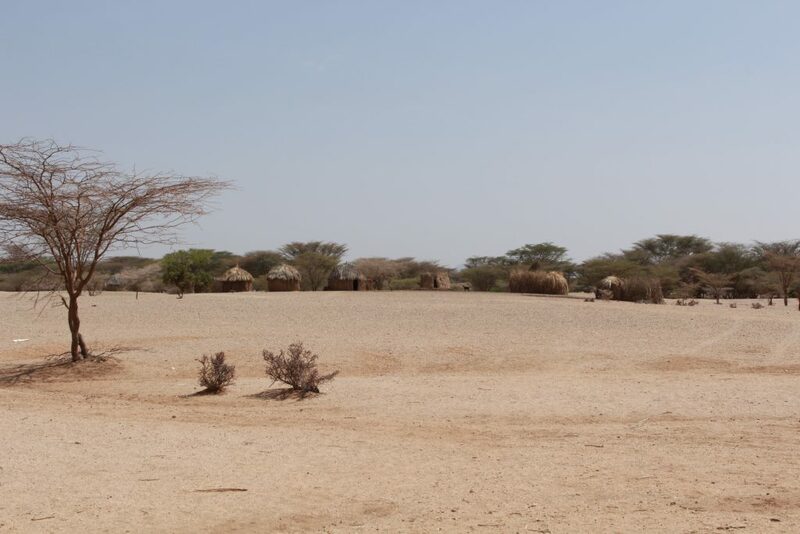 The drought is also far-reaching, affecting a number of countries including Ethiopia, South Sudan, Kenya, and Uganda. These countries share borders. When people migrate to find food, as often happens during emergencies, they are simply moving into similarly drought-hit areas. Escaping the disaster has become nearly impossible. 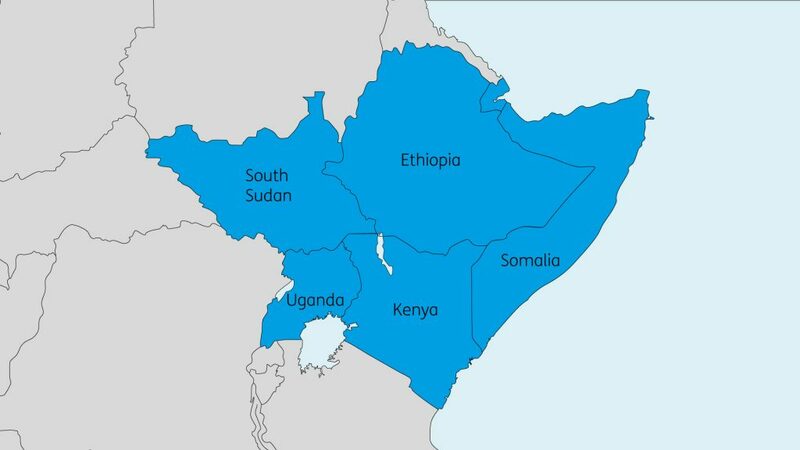 From March to May, the rains we had all hoped for failed to materialise, putting an immense strain on national gain supplies in Kenya and Ethiopia. This has also resulted in increased food prices and scarcity of water. To make matters worse, ‘fall armyworms’ – a type of caterpillar that eats crops before turning into a moth – have now affected 520,000 hectares of maize cropland – almost a quarter of the area planted. Political complexities in Kenya make the situation even more difficult. 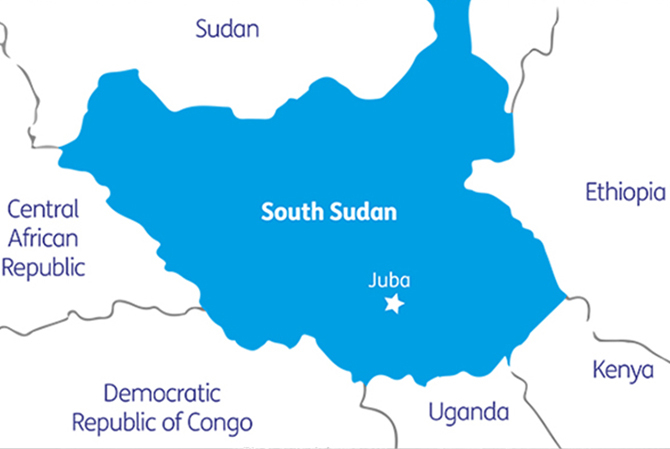 In South Sudan, conflict, exacerbated further by the deepening drought, is leading to an influx of South Sudanese refugees in Ethiopia. An average 350 refugees cross daily into Ethiopia’s border region of Gambella. 2 million of South Sudan’s population is already internally displaced (they have fled from their homes to other areas of South Sudan) and the continued displacement is worsening the food security situation in South Sudan given the symbiotic relationship between the two. Compounding the situation further are cholera outbreaks, with 6,870 cases reported so far in 2017. 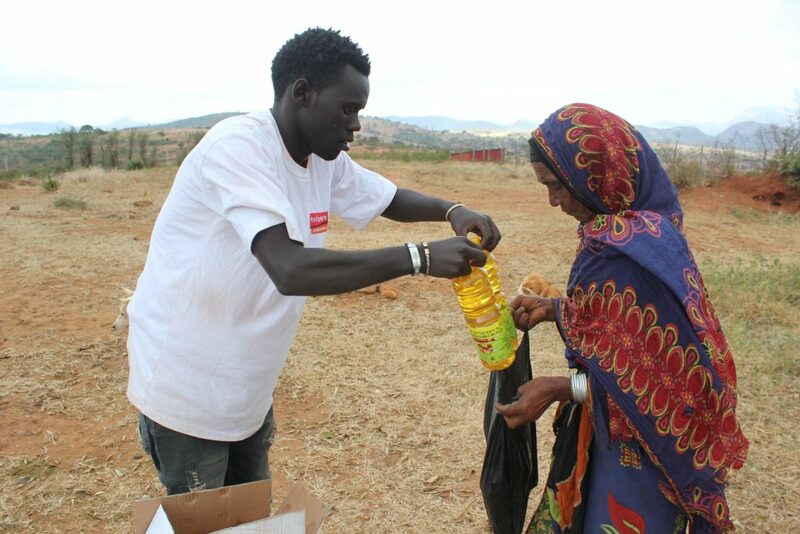 Although the drought is not improving, aid is getting through to people like Dima (pictured above) and saving lives. In fact, it is because the drought is not improving that aid is more vital than ever – we simply do not know when the next rains will come. 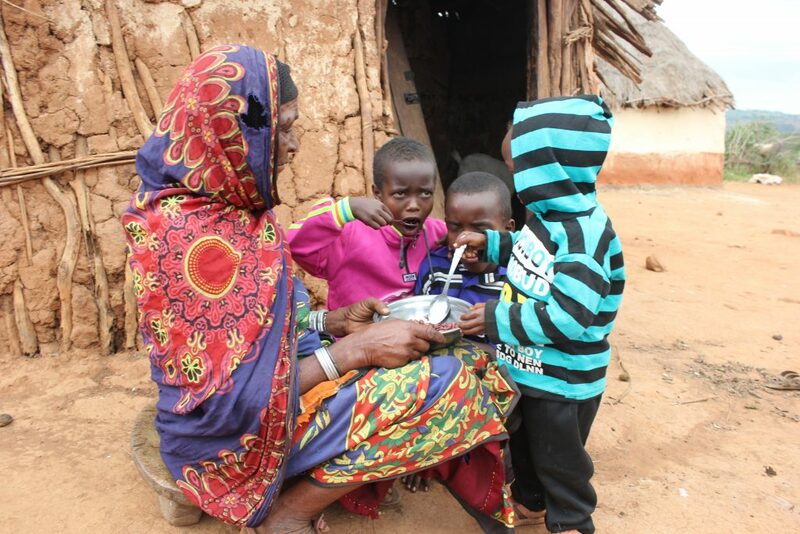 Without food packages, older people in East Africa would have little to see them through. £30 could buy food packages for 2 older people, for a month. Donate now. Lucy has been working in emergency response for nearly 10 years now, acting as the Central Contact person for the DEC at Age International, and before that working with the emergency-focused organisation MSF.